Check out some video highlights that I compiled for JConcepts. It’s been awesome making these videos giving insight to the racing here at Yatabe. The astro is crazy grippy in 4wd making it very hard to push the cars without traction rolling. I hope you guys enjoy this inside perspective to some fantastic, heart-pounding racing here in Japan. Here are the results after 4 rounds and 1 drop! 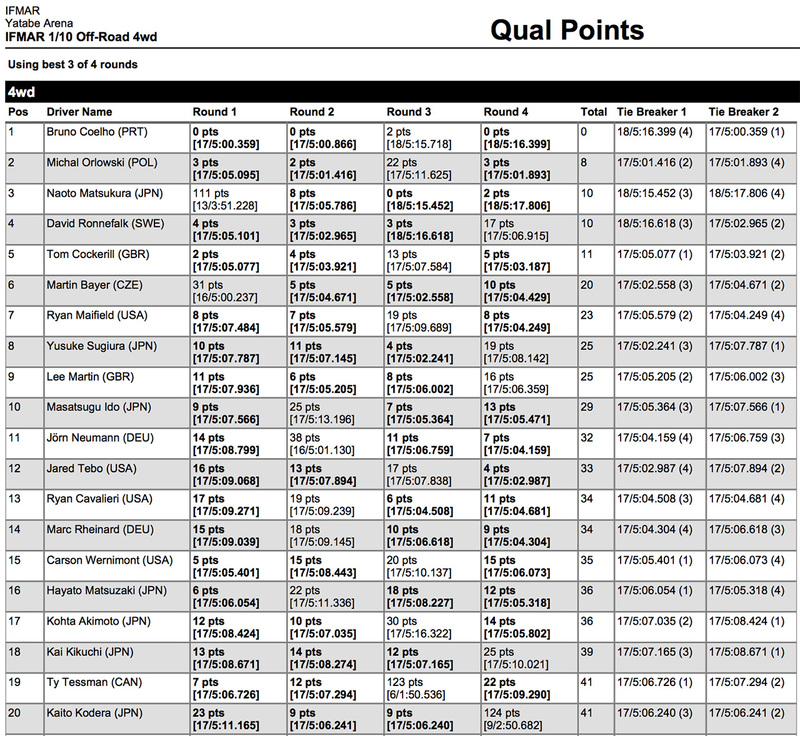 Tags: 2015, 2wdmod, coelho, japan, jconcepts, matsukura, qual points, quals, rd4, recap, round 4, video, xray, yatabe. Bookmark the permalink. Previous post ← Being at Worlds – Day 6 4wd PRACTICE!